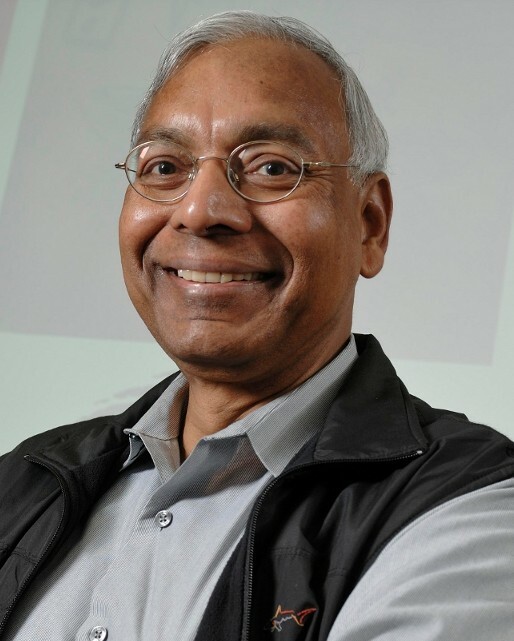 An Indian-American computer scientist and University Distinguished Professor in the Department of Computer Science & Engineering at Michigan State University (MSU) in East Lansing, Michigan, he is known for his contributions in the fields of pattern recognition, computer vision and biometric recognition. Based on his Google Scholar profile, he has an h-index of 150, which is the second highest (after Herbert A. Simon) among computer scientists identified in a survey published by University of California, Los Angeles (UCLA) professor Jens Palsberg. Born in India, he received his Bachelor of Technology in Electrical Engineering from the Indian Institute of Technology, Kanpur in 1969. He received his M.S. and Ph.D. degrees from Ohio State University in 1970 and 1973, respectively. He taught at Wayne State University from 1972 to 1974 and joined the faculty of Michigan State University in 1974, where he is currently a University Distinguished Professor. In addition, he was appointed an Honorary Professor at Tsinghua University and WCU Distinguished Professor at Korea University. He is an ISI Highly Cited researcher; a database of "highly cited researchers"—scientific researchers whose publications are most often cited in academic journals over the past decade, published by the Institute for Scientific Information. Inclusion in this list is taken as a measure of the esteem of these academics and is used, for example, by the Academic Ranking of World Universities. He served as a member of the National Academies panels on Information Technology, Whither Biometrics and Improvised Explosive Devices (IED). He also served as a member of the Defense Science Board. He was invited to speak on Fingerprint Individuality at the National Academy of Sciences Sackler Forensic Science Colloquium (2005) and on Bridging the gap: From Biometrics to Forensics at The Royal Society meeting on the paradigm shift for UK forensic science (2015). He currently serves as a member of the Forensic Science Standards Board (FSSB), co-organizer of program on Forensics (2015-2016) at the Statistical and Mathematical Sciences Institute (SAMSI) and a member of the Latent Fingerprint Working Group of the American Association for the Advancement of Science (AAAS). He has been assigned six U.S. patents on fingerprint recognition (transferred to IBM in 1999) and two Korean patents on surveillance. He has also licensed technologies to Safran Morpho, world's leading biometric company, that deal with law enforcement and homeland security applications, including: TattooID, a system for matching tattoo images (2012); AltFingID, a system for detecting whether a fingerprint image has been altered (2013); and FaceSketchID, a system for matching facial sketches to mugshot images (2014). He has collaborated with a large number of companies on computer vision and biometrics related projects, including Du Pont, Eaton Innovation Center, Ford Research Lab, General Motors Tech Center, Google ATAP, IBM Research (Almaden and Yorktown), Microsoft, NEC Research, Philips Research, Cogent, Lumidigm and Siemens Research. He was a consultant to India's Aadhaar program that provides a 12-digit unique ID number to Indian residents based on their fingerprint and iris data. He is currently serving as an advisor to the Brazilian National ID project. He is a 2003 IEEE Computer Society Technical Achievement Award Recipient, "For contributions to pattern recognition theory and application to biometric authentication"; and in 2007, he received the W. Wallace McDowell Award, the highest technical honor awarded by the IEEE, “For his pioneering contributions to theory, technique, and practice of pattern recognition, computer vision, and biometric recognition systems”. He has also received numerous other awards, including the Guggenheim Fellowship, Humboldt Research Award, IAPR Pierre Devijver Award, Fulbright Fellowship, IEEE Computer Society Technical Achievement award, IAPR King-Sun Fu Prize, and IEEE ICDM Research Contribution Award. He is a Fellow of the ACM, IEEE, AAAS, IAPR and SPIE. He also received best paper awards from the IEEE Transactions on Neural Networks (1996) and the Pattern Recognition journal (1987, 1991, and 2005). He served as a member of the U.S. National Academies panels on Information Technology, Whither Biometrics and Improvised Explosive Devices (IED). He also served as a member of the Defense Science Board. An author or co-author of several publications including: with Richard C. Dubes, “Algorithms For Clustering Data”, Prentice Hall (1988); with Rama Chellappa eds, “Markov Random Fields: Theory and Applications”, Academic Press (1993); with Ruud M. Bolle and Sharath Pankanti eds., “Biometrics: personal identification in networked society” Springer. (1999); with D. Maio, D. Maltoni, S. Prabhakar, “Handbook of Fingerprint Recognition”, ).. Springer (2003), (2nd edition 2008; with S. Z. Li ed., “Handbook of Face Recognition”, (2005) (2nd edition 2011), Springer; with A. Ross and K. Nandakumar, “Handbook of Multibiometrics”, Springer, (2006); with P. Flynn and A. Ross, eds., “Handbook of Biometrics”, Springer (2007); and with A. Ross and K. Nandakumar, “Introduction to Biometrics”, Springer, (2011). He is also the author or co-author of several Research Articles. His research and interviews have appeared in CSI: Miami, CNN, Voice of America, BBC, Bloomberg TV, Science Daily, Phys.org, New Scientist, The Times of India, Economic Times, Popular Science, Nova, Ars Technica, The New York Times, BYU Radio, WKAR, KQED, and WAMU.